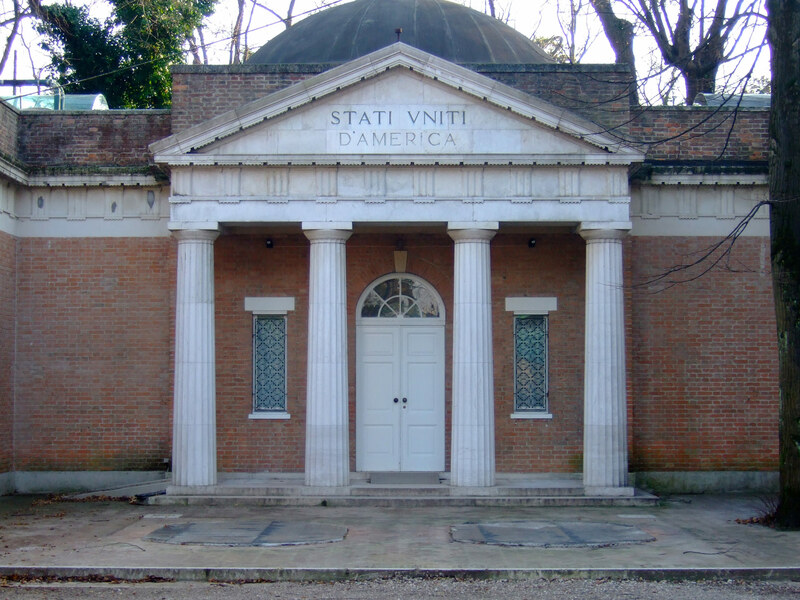 Under the leadership of the SAIC and UChicago program directors and curatorial team, the Exhibition and Program Coordinator supports the development of the U.S. pavilion at the Biennale Architettura 2018 in Venice, Italy (hereafter, “Biennale”) through research, fundraising, planning, scheduling, commissioning, staffing, and more. This work involves coordinating and collaborating with architects, artists, scholars, public and private organizations in both the U.S. and Italy. There is no word on the theme of the exhibition and the posting makes us wonder if this group was selected without a coordinated curatorial approach or idea, perhaps based on a fundraising budget and strategy? The job listing claims the Program Coordinator will be under the program director and curatorial team of the sponsoring institutions. The architecture program of the Art Institute of Chicago is directed by Jonathan Solomon who co-curated the 2010 U.S. Pavilion with Michael Rooks. (The High Museum in Atlanta was the organizer for the 2010 pavilion as well.) Solomon clearly knows his way around the Venetian Giardini. Stay tuned. In anticipation of the Art Institute of Chicago opening a permanent architecture and design gallery, Design Episodes: Form, Style, Language highlights some of the museum’s most enigmatic pieces from its vast design collection. The show is divided into three sections: the modern chair, early postmodern design, and contemporary graphic design. Chairs on show include pieces by designers such as Charles and Ray Eames, Rudolph Schindler, and Charlotte Perriand. 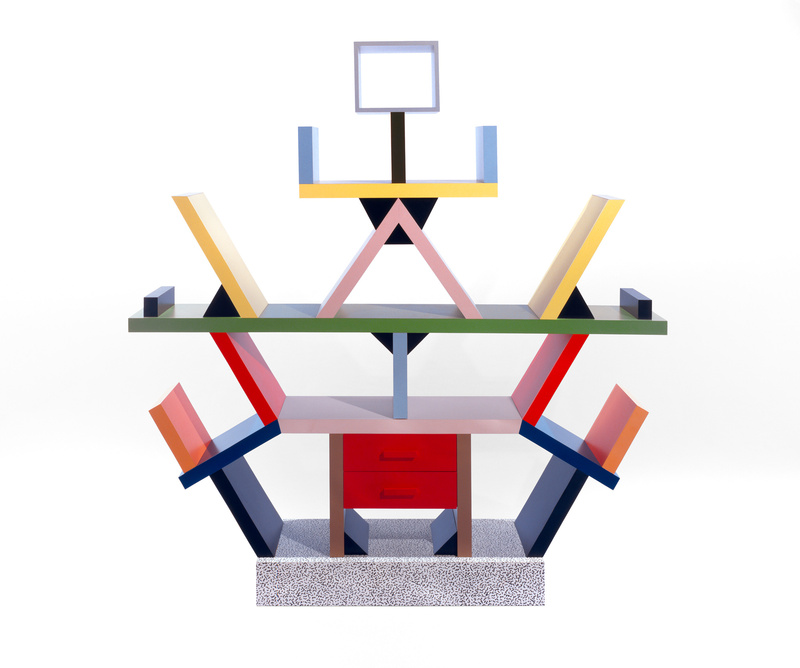 The postmodern section includes the colorful work of the radical Italian Memphis Group, its founder, architect and designer Ettore Sottsass, and Austrian architectural firm Coop Himmelblau. The show focuses on a diverse array of contemporary commercial and cultural graphic design work. Graphic designer Amir Berbić produced a custom installation entitled Boundary Lines, which fills the gallery windows overlooking Griffin Court, broadcasting the exhibition to the rest of the museum. The Art Institute of Chicago’s latest architecture exhibition examines the world of migrant workers and the global construction industry. Organized by the New York–based group Who Builds Your Architecture? (WBYA? 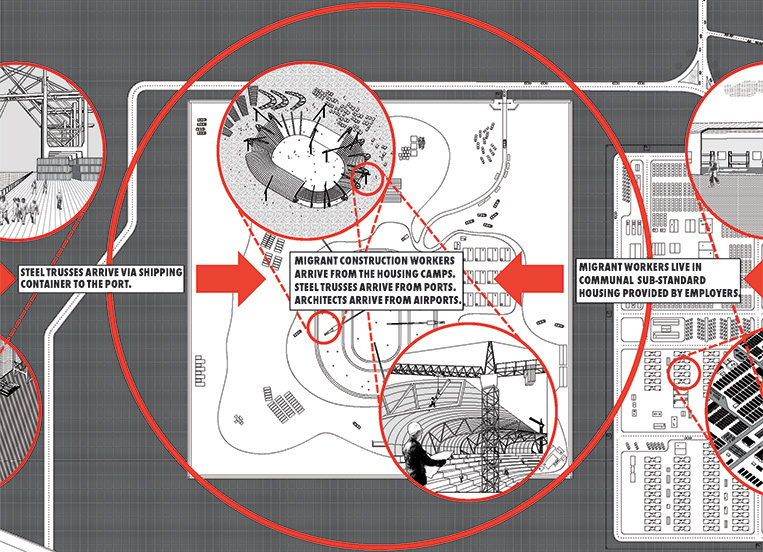 ), the eponymous show advocates for fair labor practices throughout the world by uncovering “the often-hidden networks that impact labor and sustainability in building architecture.” The show is divided into two parts: The first outlines the construction process through drawings of a fictional project. The second portion of the show explores the design and construction of facade components from buildings in four cities from around the world. Portions of the research are based on the documentation of construction worker deaths, unsafe job sites, and housing conditions by international human rights organizations. Founded in 2011, WBYA? is made up of academics, architects, curators, students, and writers: Kadambari Baxi, Jordan H. Carver, Laura Diamond Dixit, Tiffany Rattray, Lindsey Wikstrom, and Mabel O. Wilson. Thanks to a major gift, admission to the Art Institute of Chicago is now free for Chicago high school students. 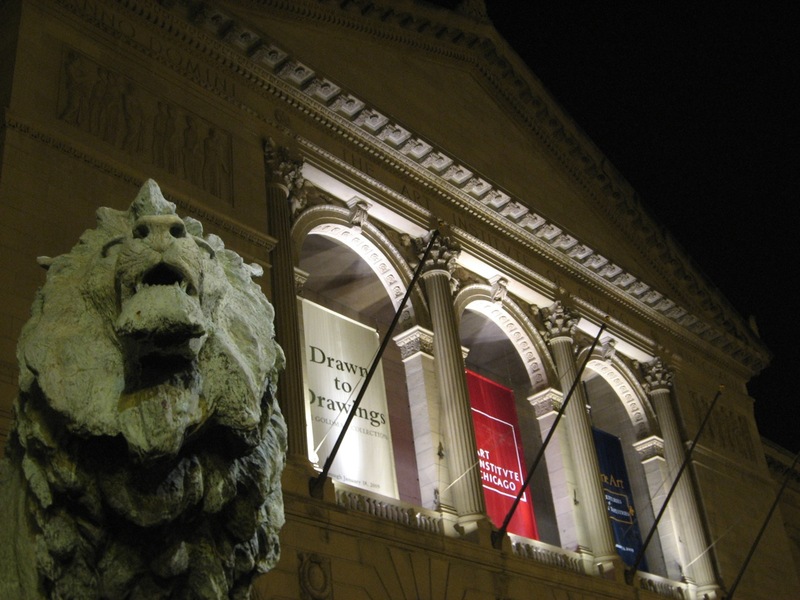 Philanthropists Glenn and Claire Swogger of Topeka, Kansas, gave the undisclosed gift to ensure that Chicagoans between the ages of 14-17 can visit the Art Institute for free for at least the next 25 years. Children 13 and under are already admitted free of charge. As a teen, 81-year-old Glenn Swogger was a student at the School of the Art Institute. The gift will help bring more teens into the museum, introducing them to the collection of masterpieces. Along with viewing art, the museum provides many programs for young adults. After-school labs, workshops, and events match teens up with artists and mentors, all while providing space to create art. 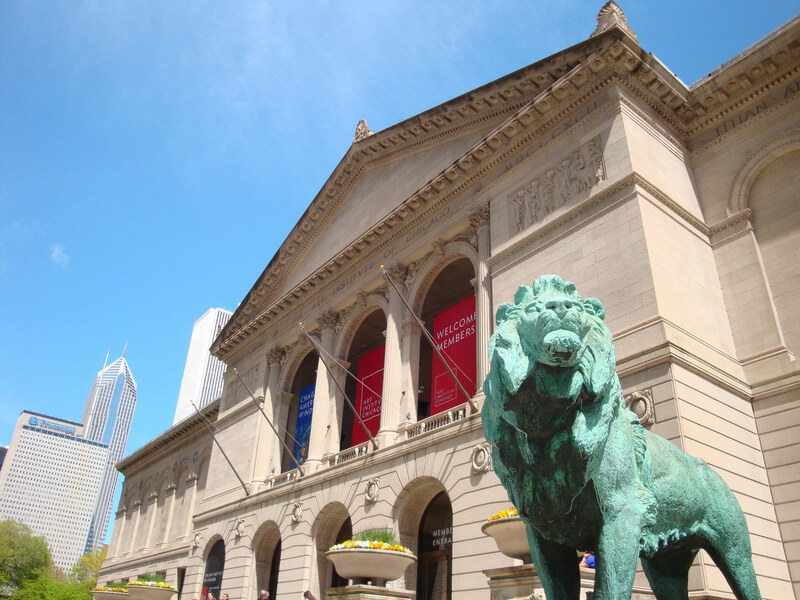 Teens looking to visit the Art Institute need only a student I.D. from a Chicago school, a report card, or a piece of mail to establish residency to get in for free. Everyone over 18 can visit the Art Institute for no charge every Thursday afternoon from 5pm to 8pm. The second largest art museum in the United States, the Art Institute is home to a massive architecture and design collection. Special architectural exhibitions will soon be joined by permanent architecture and design gallery, which is currently being organized. Currently on show, Who Builds Your Architecture? follows the politics behind what it takes to build around the world. The museum also contains the Ryerson & Burnham Libraries, a repository of hundreds of thousands of drawings, renderings, and publications. The first comprehensive retrospective of the work of Hungarian modernist László Moholy-Nagy in 50 years is now on show at the Art Institute of Chicago. Future Present highlights more than 300 works by the prolific artist, designer, and educator. The wide range of work by Moholy includes painting, photography, film, sculpture, advertising, product design, and theater sets. Work in the show spans from when Moholy was a member of the original Bauhaus in Germany through his time as the founder of the New Bauhaus in Chicago. Future Present includes 38 photomontages, three of Moholy’s enamel “telephone paintings,” the iconic plunging views from the Berlin Radio Tower, and a multimedia installation based on an unfinished work by Moholy. Many of the works come from his time as the head of the “Chicago Bauhaus,” and are brought together for the first time ever. The show is in its second iteration at the Art Institute. The first showing was at the Solomon R. Guggenheim Museum in New York (read our full review here) and it will continue onto the Los Angeles County Museum of Art (LACMA) in mid-February. If there’s any justice, history will recognize John Zukowsky for his singular place in documenting and disseminating Chicago’s architectural history. He’s produced several of the most significant visual records of the city, including the two-volume companion to the milestone surveys [Chicago Architecture 1872–1922 and 1923–1993] that he mounted at the Art Institute in the early 1990s; together the catalogues create an amazingly comprehensive chronicle of built Chicago. And, shortly before leaving the city in 2004, he published Masterpieces of Chicago Architecture, a visually breathtaking timeline of the city’s greatest buildings. 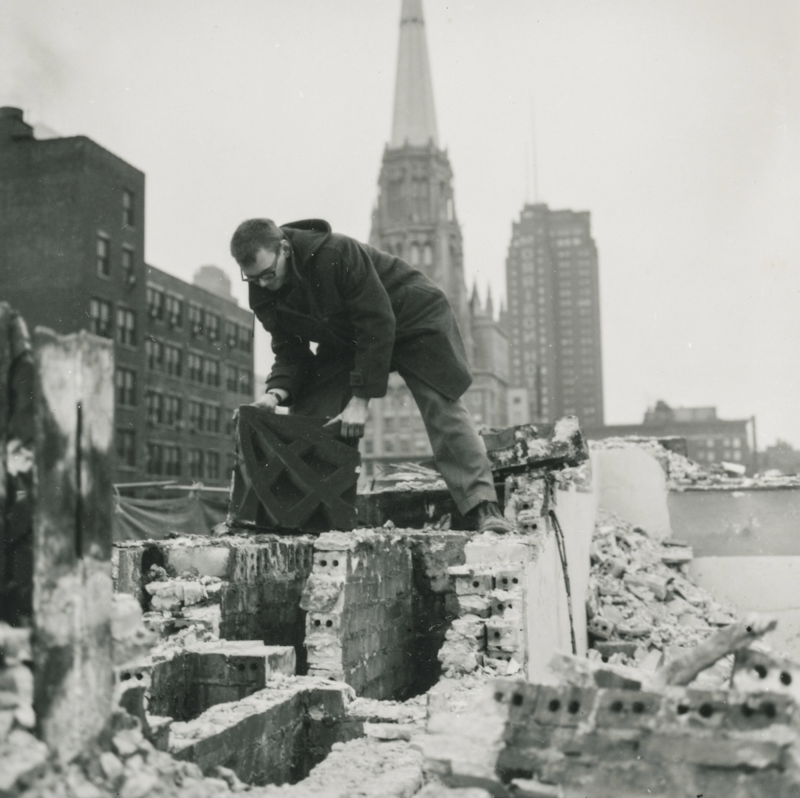 An assessment of Building Chicago, Zukowsky’s latest contribution to the canon, more or less demands the inquiry: Is it necessary? Given the increasing interest in the subject over the past couple of decades and the number of pictorial surveys of the city that others have published, do we really need another iteration of “Chicago’s Greatest Hits?” And hasn’t Mr. Zukowsky said it all already anyway? The short answers are “yes” and “maybe, but so what?” Indeed, there is probably not much new to say on the subject that Zukowsky himself hasn’t already said. (Beyond the fact—and this is not insignificant—that a dozen years have elapsed since Zukowsky’s last compendium, and a lot has happened architecturally in the last dozen years.) But with architectural history, you can always find new ways to look at the material—not only conceptually, but visually. And in Building Chicago, Zukowsky has lucked into a whole new inventory of visual materials.The image collection of the Chicago History Museum (formerly known as the Chicago Historical Society) recently acquired rights to most of the spectacular archive of Hedrich Blessing, generally considered the world’s greatest architectural photography studio, dating back to the 1930s through to 1979—in addition to the museum’s already impressive collection of vintage photographs. In his introduction, Zukowsky acknowledges he’s revisiting much of the territory he covered in the 2004 work (also for the publisher Rizzoli), which drew mostly from the Art Institute’s extensive collection of drawings, artifacts, and photos. Here, Zukowsky’s source for imagery, while almost exclusively photographic, is actually much broader than the Art Institute’s and really makes for a much more vivid picture. Zukowsky is a fine scholar, but the writing in Building Chicago is generally dry and uninspiring, particularly if you’re well-versed in the subject matter. But you’re not reading this book for the text. Like any picture book—and, while it’s a serious historical work, Building Chicago is primarily a picture book—its success depends on the images. 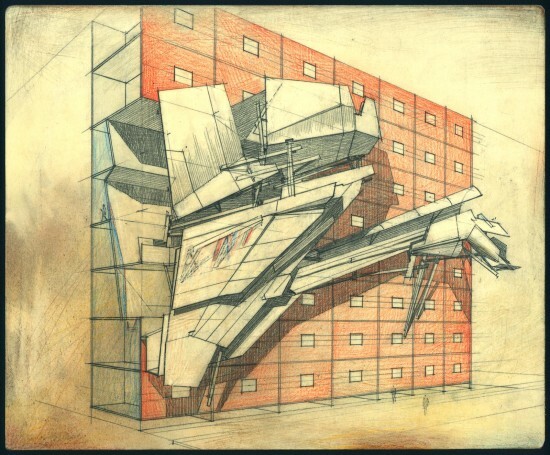 So it’s particularly fortunate that Zukowsky was able to indulge his “curator’s choice” and assemble a brilliant iconography of the most emblematic buildings in the city from the museum’s collection. Zukowsky admits that he didn’t intend this as a comprehensive history of the city’s built environment: It is, quite frankly, a look at the city’s most important, influential and prominent structures. Aside from some high-profile apartment towers and one lakefront mansion, there’s little about residential design, almost nothing ecclesiastical, and very little outside the city’s core. The visual story Zukowsky is presenting here doesn’t pretend to reflect anything beyond the public realm or show us much about the neighborhoods in a city that is supposed to be all about neighborhoods. 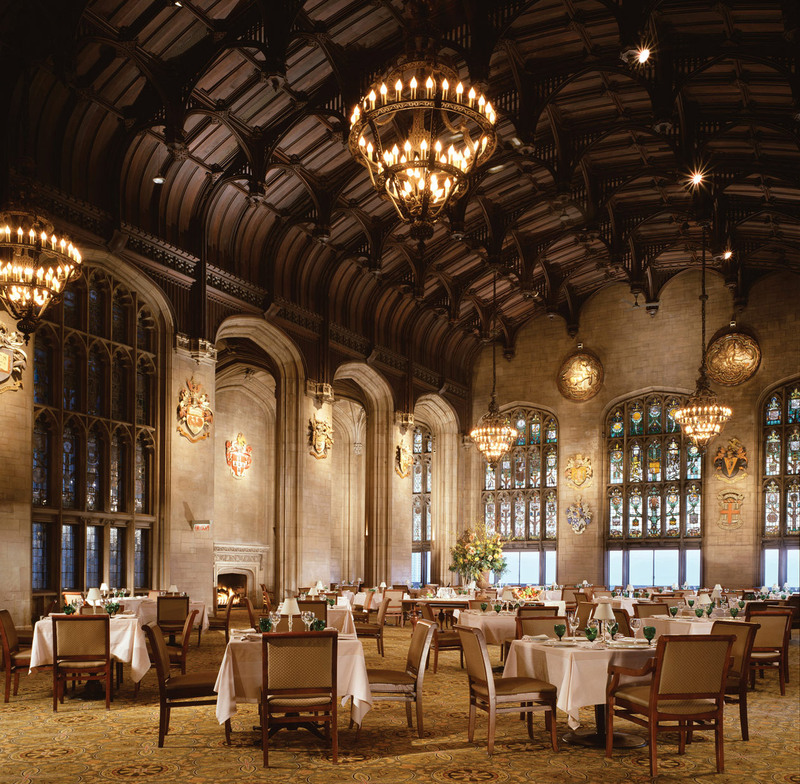 It’s about the architecture that has become a key element of the tourism industry and an economic engine on its own, celebrating the great, important buildings of Chicago that provide the city its one real claim to international distinction and are the source of boundless hometown pride. Readers familiar with the cityscape will not be surprised here with the choice of buildings illustrated. But the book’s real distinction is the historical selection from Hedrich Blessing—both in its great period photos of grand buildings now demolished (the Michigan Square Building) or recklessly remodeled (the Prudential Building lobby) and of projects far less glamorous: A 1944 photo of the Monroe Street Red Line platform and another of the newly finished Lake Shore Drive pedestrian overpass at North Avenue are particularly edifying. It’s hard to imagine a better compendium: Building Chicago is an important addition to any serious collection of books about the city. Zoë Ryan is the John H. Bryan chair and curator of Architecture and Design at the Art Institute of Chicago. Few have likely spent as much time thinking about how architecture and design should be shown in museums as Ryan. In fact, she is writing a book about it. Along with working on that book, Ryan is also in the process of launching a new gallery at the Art Institute, to showcase the museum’s vast Architecture and Design Collection. Outside of the Architectural Fragments gallery, permanently on display in the museum’s Grand Staircase, much of this collection has never been seen by the public. Currently, Ryan, associate curator Alison Fisher, and assistant curator Karen Kice are surveying and documenting the entire catalogue in order to better understand the museum’s holdings. That information will help the team position the work and fill any gaps in the collection, which is rich with pieces by architecture and design’s most vaunted names, balanced with work by many lesser-known figures. Rather than create a purely chronological or historical display, Ryan is interested in rethinking established architecture and design narratives. The new gallery will be spaces of exhibition experimentation, with pieces and shows periodically rotating. Work will be shown in such a way to draw new connections between figures, movements, and times. Ryan’s forthcoming book focuses on 11 historical architecture and design exhibitions and the impact they had on their fields. 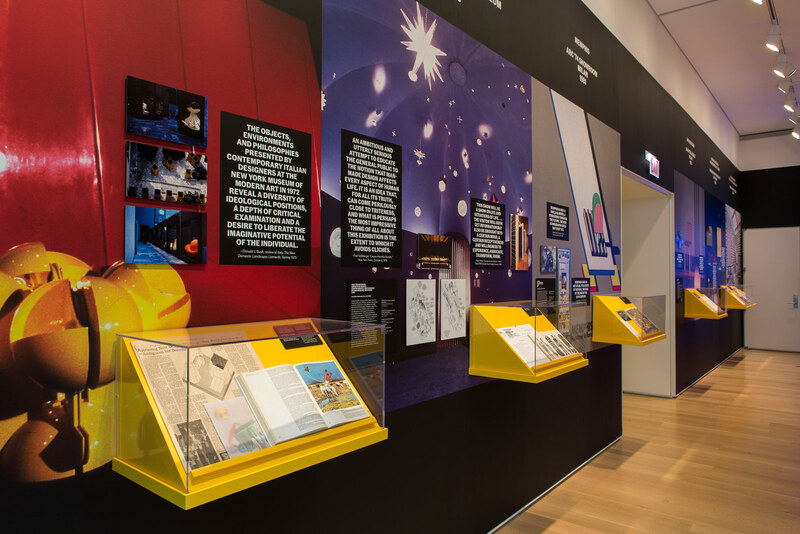 The first phase of research for the book is on show in the Art Institute’s current exhibition, which shares a name with the forthcoming book—As Seen: Exhibitions That Made Architecture and Design History. Ryan will draw from this research to present the museum’s collection. 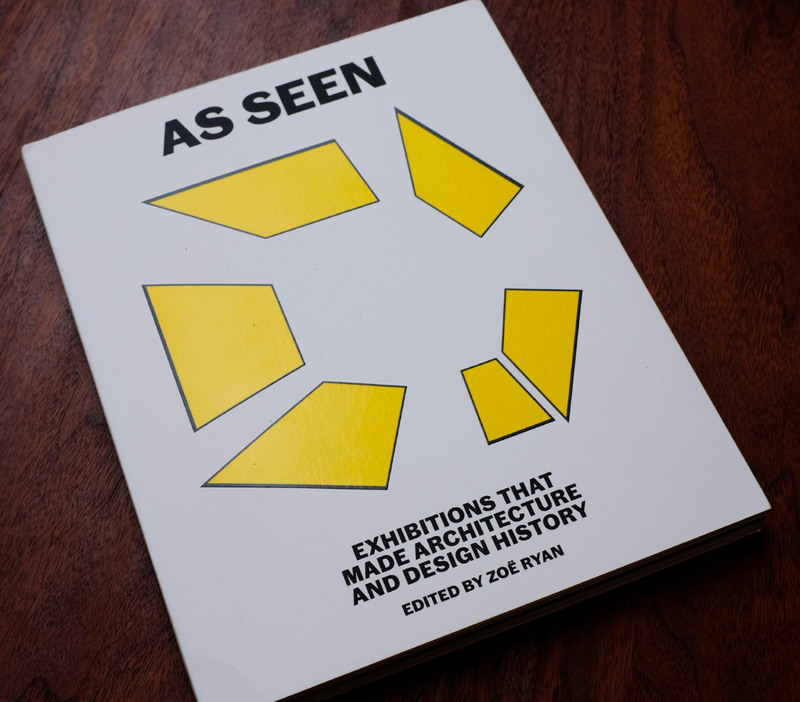 “The As Seen book is an opportunity to reinforce the important role that exhibitions have in contributing to cultural discourse. Exhibitions have played a critical role in positioning ideas, marking pivotal moments in time, and documenting the environment in which new narratives or arguments unfold,” said Ryan. The release of As Seen: Exhibitions That Made Architecture and Design History is planned to coincide with the opening of the new gallery. One of the major challenges of showing architecture and design in museums is making the work accessible to the public. Though renderings and models can often be understood by laypeople, technical drawings and sketches often require more explanation. The museum has five galleries dedicated to Architecture and Design exhibitions. Currently, they only show pieces from the museum’s collection in conjunction with temporary shows. The collection gallery will be created by converting one of those current 5,000-square-foot galleries. “Our goal is to make clear the important role that architecture and design play in our everyday lives,” Ryan added. Ryan and her team plan to position architecture and design in a greater cultural conversation. To do so, the gallery will draw links between architecture, design, and the greater collection of the entire museum. Despite Chicago’s many architecture and design institutions, this new gallery, backed by the curators’ critical vision and the Art Institute’s unmatched collection, will be unique in its breadth and scope. Undoubtedly the new gallery will add to the ever spirited conversation surrounding architecture in Chicago. With new access to primary source information, perhaps many of the debates about the city’s architectural history can be settled, while a whole new set of questions can be raised. 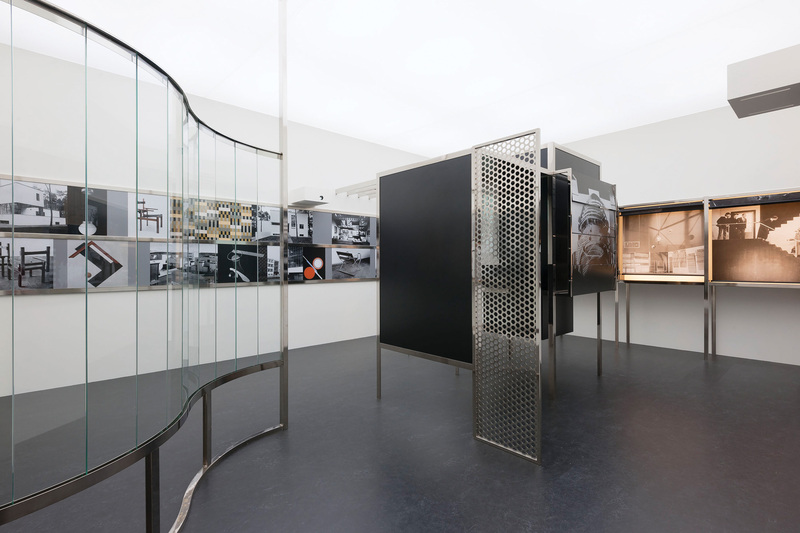 Presented as a show about shows, As Seen: Exhibitions That Made Architecture and Design History contains materials and imagery from 11 group design and architecture exhibitions from 1956 to 2006. Along with the material, critical and scholarly discourse from each show’s time gives insight into the discussion surrounding the show and the discipline when the work was originally presented. As Seen is a small part of a larger line of inquiry that was initiated as part of the Istanbul Design Biennial 2014. Designed by New York-based exhibition and identity design practice Project Projects, As Seen is sponsored by the Architecture & Design Society. The show was originally curated by Zoë Ryan for the 2014 Istanbul Design Biennial. The Art Institute iteration of the exhibition has been curated by Zoë Ryan, Meredith Caruthers, and Karen Kice. As Seen: Exhibitions That Made Architecture and Design History is on view through August 15th at the Art Institute of Chicago. David Hartt: Interval Art Institute of Chicago 111 South Michigan Avenue, Chicago Through October 11 Canadian artist David Hartt examines the culture and built environment of a given locale through the changing needs and values of its community. 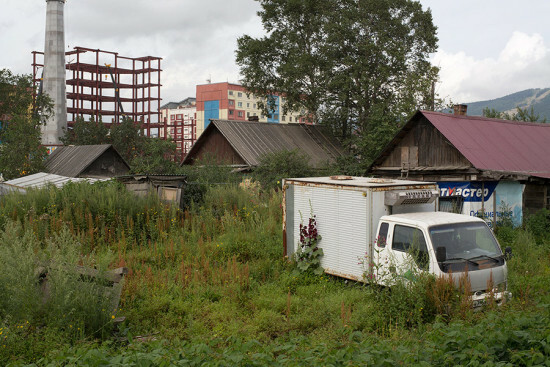 For this essayistic series of films and photographs, Hartt selected two economically and geographically isolated sites: Whitehorse in the Canadian Yukon and Sakhalin Island, a Russian territory at the tip of the Japanese archipelago. The exhibition is accompanied by a musical score by composer Mitchell Akiyama, and backed by a series of walls simulating the reflective exterior of the Bonaventure Hotel in Los Angeles. Hartt’s work focuses on the “periphery of their respective societies” as a precept for commenting on their centers. Meanwhile, the exhibition’s title calls attention to temporal and spatial displacements that occur at these sites in an increasingly globalized world.